Yay for the return of grilling weather! 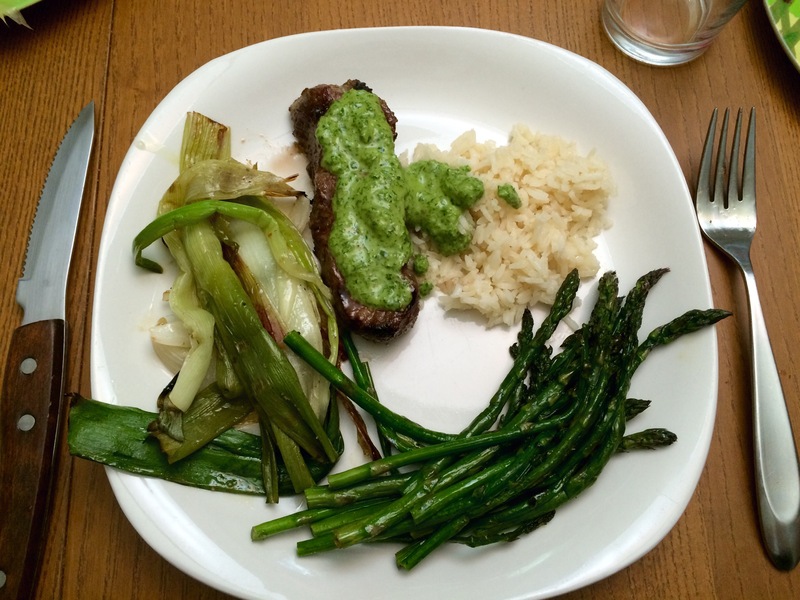 Pictured: grilled “steak strips” (don’t ask me what this cut really is; they didn’t have skirt steak at Fred Meyers so I improvised) with blender chimichurri, rice, grilled spring onions, and grilled asparagus. Everyone in our family had seconds, and there were zero leftovers. (I mean, the kids didn’t have the chimichurri, and I made them grilled broccoli instead of asparagus, but still.) Chimichurri is basically the best thing that ever happened to meat.